Nathan Sexton and his family. Updated at 7:28 p.m. on Tuesday, Jan. 29, 2019, with more information. Nathan Sexton, a successful career and family man whose cancer fight captured the attention of many, died Tuesday. He was 31. Sexton was diagnosed with a glioblastoma — one of the most aggressive forms of brain cancer — in 2015 and given 15 months to live. The former vice president for one of the area's fastest-growing local startups, Bellhops, lived for 43 months. During that time, the Signal Mountain man with little long-distance running experience turned himself into one of the fastest local runners in his age group; ran the Boston Marathon; wrote a book for his young son, Jack; became an artist; and was the subject of a documentary about his journey, titled "Keep Fighting: The Journey of Nathan Sexton." Staff photo by C.B. Schmelter / Nathan Sexton poses at his home on Wednesday, Sept. 12, 2018 in Signal Mountain, Tenn.
Sexton's wife, Elizabeth, posted the news to Facebook on Tuesday afternoon. The post confirmed his death with an uplifting message accompanied by scripture. "To know what joy Nathan is experiencing right now and for all eternity gives me the strength and the peace I need to understand that although we'd rather have him here, with us, on Earth, Nathan is happier that we could ever begin to fathom in Heaven with Jesus," she wrote. Elizabeth Sexton described the day as the saddest in her life but added she "will try to take rest in knowing that it's the greatest day in Nathan's eternal life." She found joy in her husband's attitude. He often remained upbeat and would say the diagnosis provided him another opportunity to glorify God, she posted. Nathan Sexton suffered three seizures on June 4, 2015 — the first day Bellhops moved into its new Warehouse Row office. He awoke in a hospital bed a day and a half later, disoriented and unable to speak after a tube was put in his throat. He was told he had stage 4 glioblastoma. It came with an average life expectancy of 15 months, and a best-case-scenario of 24 months. Determined to spend more time with his wife and son, the father of one changed his diet, exercised regularly and actively worked to extend his life to be with his family. By early 2016, he was ready to attempt the Chattanooga half-marathon. About 40 Bellhops employees ran in support of Sexton, who finished in 1:41:07 — exceeding his goal by more than 30 seconds per mile. "He was a great friend, fun to be around, and was instrumental in Bellhops being a success. It was an honor to know him and call him a friend," former Bellhops chief operating officer Matt Patterson, who ran with Sexton, wrote in a message after his friend's death. 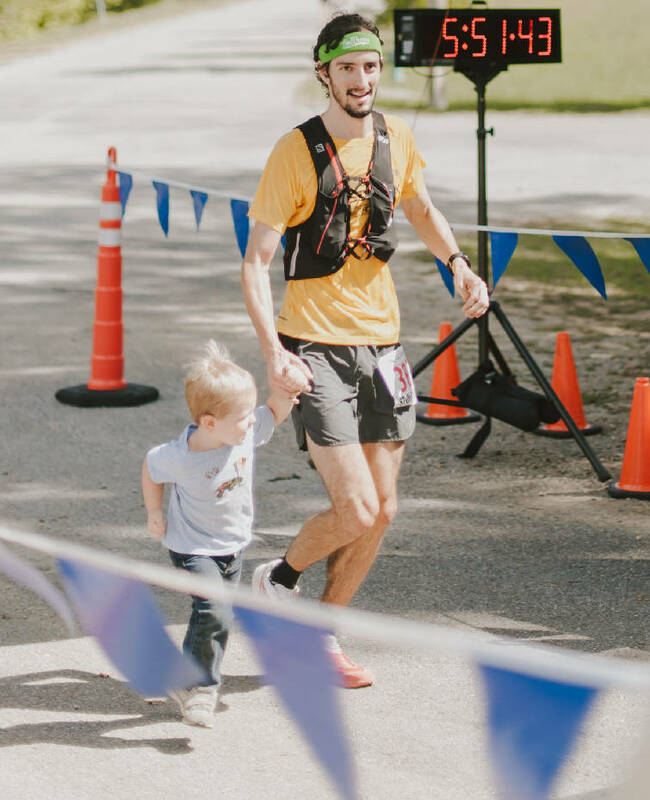 After the race, Nathan Sexton released a book dedicated to Jack, who was 2 years old at the time. "My original thought for the book was for Jack to physically have something to remember me by, should God decide to call me home early," Sexton wrote in an email to the Times Free Press at the time. "I discussed it with my wife, Elizabeth, and we thought if this book could help teach other people some of the lessons I have learned in my battle with brain cancer, then it would be worth getting it published." In the book, titled "Dear Jack," Nathan Sexton explains how he struggled to delegate power at work and how his faith and family often took a backseat before the diagnosis. The book is an autobiography of sorts that ties his strong Christian faith and lessons learned through extensive reading with details from his upbringing, personal life, business career and diagnosis, according to Times Free Press archives. After the book's 2016 release, Nathan Sexton continued to run. He made it his goal to qualify for the Boston Marathon. 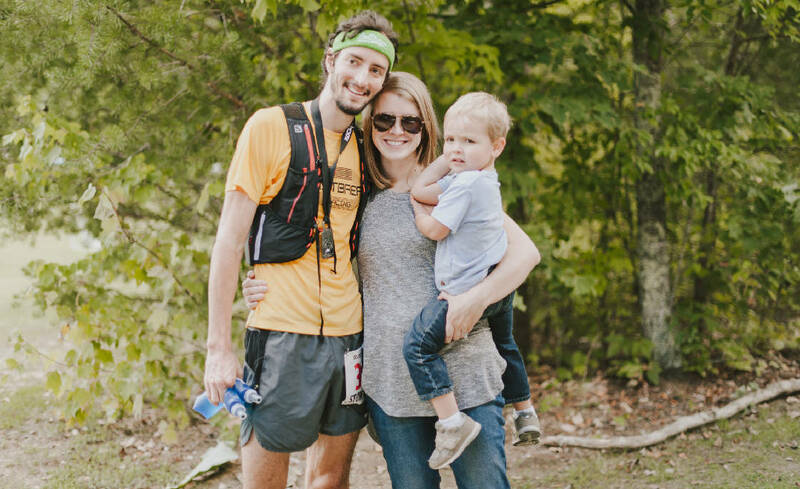 He raced the 2017 Chattanooga Marathon as a qualifier and placed second in his age group despite suffering a seizure late in the race. However, the seizure slowed him enough to miss the qualifying time by 129 seconds. Fellow runners and community members weighed in on his behalf, and the Boston Athletic Association granted him a rare special entry. He took his running to the nation's biggest stage, where he suffered five seizures during the race. He was observed by a nurse but slipped away and finished. "Nathan seemed to pour every ounce of effort into what he was passionate about at the time, so before the diagnosis, that was work, but after the diagnosis, you could still see he had that type of personality and he just put that effort into his family life and running until he couldn't run anymore," Patterson said. "Then, his passion turned to painting." Sexton began painting late in his life, despite having no previous adult experience. His mother and sister, a Knoxville-based photographer, had encouraged Elizabeth Sexton to try ink-based painting. She wasn't good, she said, but Nathan saw it and tried. His first picture was a panda he drew for her. 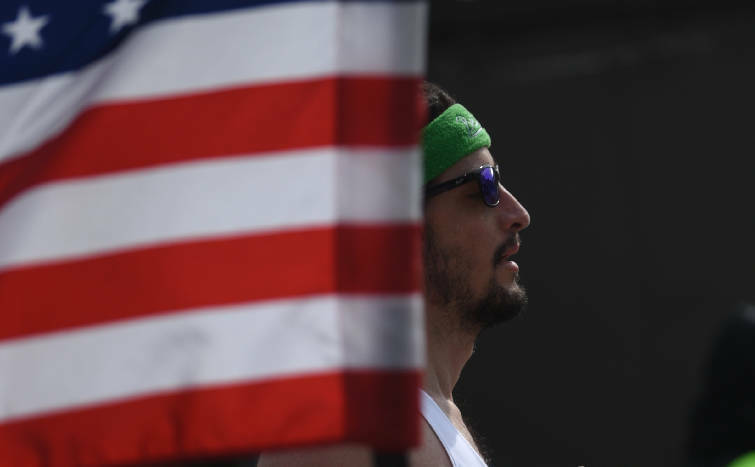 Nathan Sexton passes a man carrying a flag near the finish line Sunday, March 5, 2017 in the Erlanger Chattanooga Marathon. 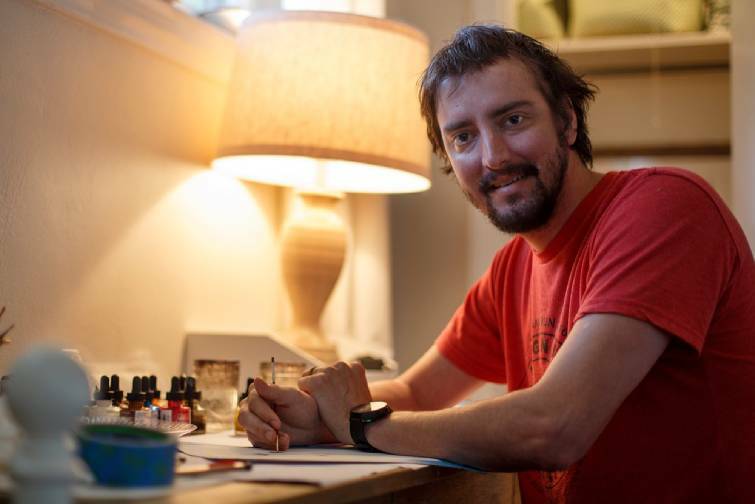 He began selling his paintings on online-retail website Etsy and had sold about 300 pieces as of September of last year. He was releasing new work as late as this month. In the late stages of his life, Elizabeth Sexton and her husband often thought and communicated in unison. The brain cancer attacked his memory and communication skills. However, he remained active in conversations and worked in tandem with Elizabeth to communicate his thoughts until his death. Her post announcing the death was filled with both sadness and optimism. She found peace knowing he is in heaven, she wrote, but the sadness of losing her husband and the father of their son stings. "And now, on January 29, 2019, he has triumphantly finished his race," Elizabeth Sexton posted.